Army Spc. Arturo Barajas provides security for Iraqi army soldiers in southern Mosul, Iraq. Department of Defense. Photo by Spc. Christa Martin, U.S. Army. 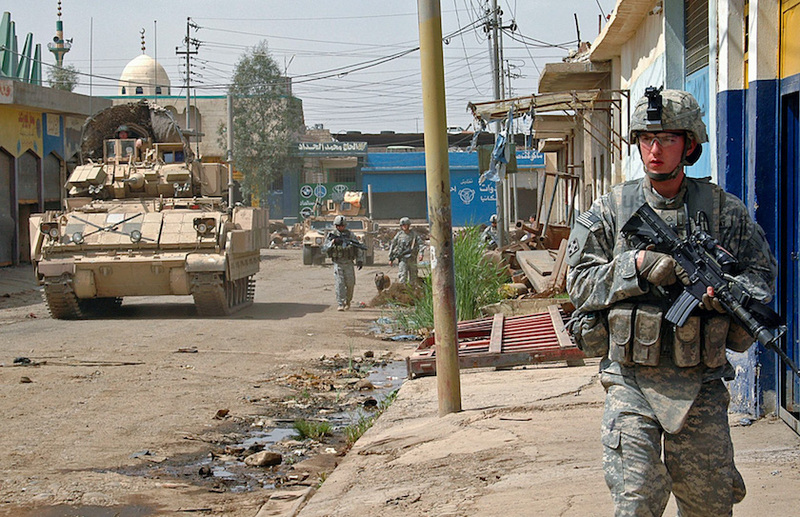 The first time I heard about the city of Mosul, I was a soldier in Iraq. A rocket had hit a military mess hall near there and ripped through the Tuesday lunch crowd. The mess hall was the one place we gathered together. The one place where we took off our flak vests, laid down our weapons, and ate together. Sixty-six people—some military, some civilian—were wounded before anyone knew what happened. That was the cost those soldiers paid that day. Many others pay an even steeper price. Today is the day that we sit with that. Today is the day we remember all a soldier leaves behind when they die. Memorial Day is when we honor soldiers who gave their lives in combat. But that’s what soldiers do. They show up. In the face of terror. In the face of fear. Even in the face of death. Pfc. Adam Devries patrols the streets of Mosul. DVIDS. Photo by Sgt. John Crosby. That’s what I honor this Memorial Day. I honor my fellow soldiers who showed up and left their lives in Mosul and on a thousand other battlefields. I will honor them by continuing to show up in Mosul. I will show up and see the Mosul that exists beneath the fog of war and hail of bullets. I will see that Mosul is so much more than a bomb blast. It’s a city of brave mothers and fathers. It’s a community of people from diverse faiths that have lived beside each other for years. 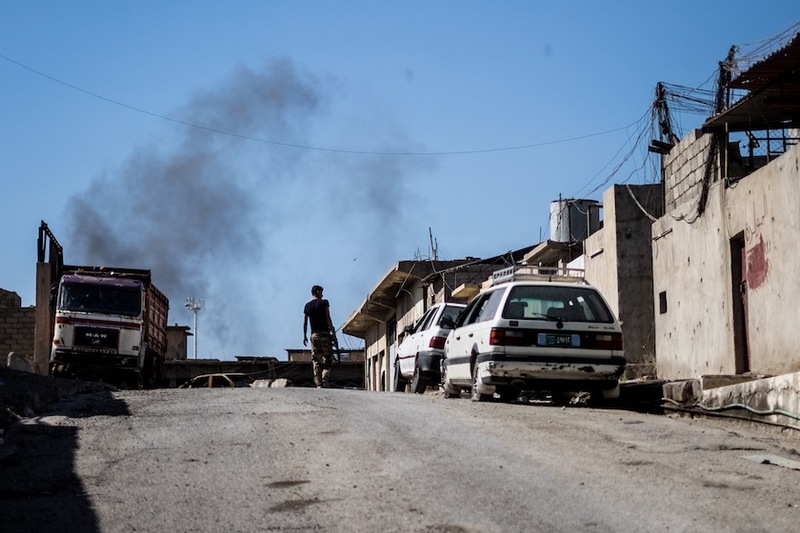 I will show up and choose to see places like Mosul not as an enemy, not just as a “military objective,” but as a place that matters, whose people matter. A place we can stand with, connect with. A place we can rebuild. A place we can still make a difference today. Today, Mosul is at war again. At this moment, U.S.-trained Iraqi security forces are engaged in a fierce battle to liberate the city from ISIS. But peace depends on more than a military victory. The outcome depends on how we respond to the people of Mosul. We’re showing up front lines, with lifesaving aid for families who’ve been oppressed by ISIS for more than three years. Learn more. Editor’s note: An earlier version of this post was published last year, as a similar battle raged for the Iraqi city of Fallujah.